Uncovering innovative solutions to address some of our community’s most challenging issues is what Durham is all about. In this new CityLife episode, Host Beverly B. Thompson sits down with Transportation Planner Maureen Devlin and Mariel Beasley with the Center for Advanced Hindsight at Duke Universityto find out how the City is using $1 million from theBloomberg Philanthropies U-S Mayor’s Challenge to figure out how to help best move people and not cars. CityLife, a talk show ... See More that features information on current City issues and upcoming events, airs daily on Durham Television Network (Spectrum ch. 8 and AT&T U-verse ch. 99) and on YouTube. For more information about the City of Durham, call (919) 560-4123, like on Facebook, and follow on Twitter, Instagram, and Nextdoor. 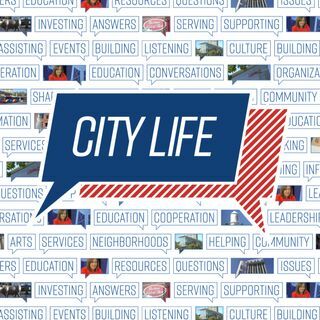 City Life is now an audio podcast! Find it on iTunes or wherever you get your podcast.